Inflammation is no joke. On an acute level, it can cause redness and swelling—a sign that you’re dealing with some type of injury or infection. And on a chronic level, it’s been linked with a range of serious health conditions, like heart disease, cancer, obesity, and even depression. Clearly it’s something to try and avoid, so it’s good news that strategies exist for helping that happen. One great option is none other than essential oils. “Essential oils are a great support tool for relieving the discomfort from inflammation that can occur on the surface of our skin and even internally, like in joints, our upper respiratory area, and our belly,” says aromatherapist Amy Galper, co-founder of the New York Institute of Aromatic Studies. In fact, there’s a whole range of essential oils that can help combat aches and pains you may experience from inflammation. Each option works a little differently, but experts note how they can make a specific impact. Add the following 10 essential oils to your inflammation-busting kit. Thyme contains a lot of carvacrol, a phenol that works as a natural anti-inflammatory. “It has antioxidant, antibacterial, and antifungal properties,” says Irina Todorov, MD, medical co-director for the Cleveland Clinic Center for Integrative & Lifestyle Medicine. The best way to use thyme ultimately depends on what kind of inflammation you’re dealing with. For a respiratory issue, blend it with eucalyptus (an anti-mucolytic oil), mix it into a lotion or carrier oil like almond or coconut oil, and rub it into your chest so you can breathe it in, says Michele Mack, a licensed massage therapist. And if you have some kind of mouth infection, you can put a few drops of thyme into water and swish it around your mouth before spitting it out, Dr. Todorov adds. Clove is high in eugenol, which has been shown in studies to have anti-inflammatory and pain-relieving properties, Mack says. “The eugenol is an irritant, so it can increase the blood flow to an area, creating warmth.” She recommends mixing clove with a carrier oil and rubbing it into areas where you have muscle aches and pains. Beyond smelling amazing, rose essential oil is great for soothing and calming skin inflammation. “It has components that can limit the growth and spread of bacteria and microbes, and also support the skin to heal,” Galper says. The main component, phenylethanol, has also been shown in studies to have anti-inflammatory properties, Mack says. To use rose oil to combat inflammation, Galper recommends adding a few drops to a carrier oil and rubbing it into your skin. If you have a cough or a sore throat, Dr. Todorov—who turns to eucalyptus for a bevy of issues including upper-respiratory infection, skin infections (like insect bites or acne), shingles, headaches, and joint aches—recommends using a few drops of eucalyptus oil in a steam bath. And if you have a skin infection or muscle aches and pains, mix the cooling concoction with a carrier oil or lotion and rub it into the affected area. “It improves circulation and inspires movement,” making it great for muscle soreness, Galper says of fennel oil, which also features soothing and astringent properties that can help with bloat. And it’s also great for helping to relieve period symptoms like menstrual cramping and fluid retention, Mack says. In both of these cases, the best way to use fennel oil is by adding it to a carrier oil and massaging it into the affected area. If you’re having sinus issues though, fennel oil is best used as part of a steam bath to help clear up the infection, Dr. Todorov says. Bergamot is known for its soothing, anti-inflammatory properties, along with its ability to calm “inflamed” emotions, leaving you with a sense of peacefulness, Galper says. Furthermore, it can be used as a vapor for respiratory issues, added to a carrier oil for a soothing massage oil, incorporated in a bath for skin issues, and used in saltwater as a gargle for a sore throat, Dr. Todorov says. Specifically, it’s great for soothing acid reflux, calming upper respiratory infections, and easing muscle aches, says Dr. Todorov, who recommends adding a few drops to water or tea and drinking it to help with digestive issues. If an upper-respiratory infection is your problem, a steam bath is a great option. (“It opens your nostrils and everything comes out,” Dr. Todorov says.) And if muscle strain is keeping you down, holding a warm compress with two or three drops of it to the area in question can help. This “warming” essential oil is anti-spasmodic, which is why Galper recommends using it for muscle knots. “It’s also very antibacterial and antimicrobial, so ginger is able to neutralize any inflammation that comes from germs,” she says. If you’re having joint pain and inflammation, ginger (mixed with German chamomile and helichrysum) and applied topically can help, Mack says. You can also add a few drops of ginger to a compress and hold it against areas where you’re having aches and pains, Dr. Todorov says. With its anti-inflammatory and tissue-repairing powers, helichrysum “is excellent for any irritations, redness, and swelling on the skin,” says Galper, adding that its antimicrobial properties can help ease discomfort from skin-related infections. For minor cuts (read: not, deep wounds), place a drop of the oil right on the wound “to help facilitate healing immediately,” Mack says. “Patchouli has been used for hundreds of years in Chinese, Ayurvedic, and Greek medicine to help with skin healing and to reduce surface inflammation,” Mack says. It’s ideal for soothing and healing skin irritation, soreness, and redness, Galper says, adding that it can treat skin irritations like bug bites. Simply mix it with a carrier oil and apply it to the affected area. What do I need to keep in mind when using essential oils? 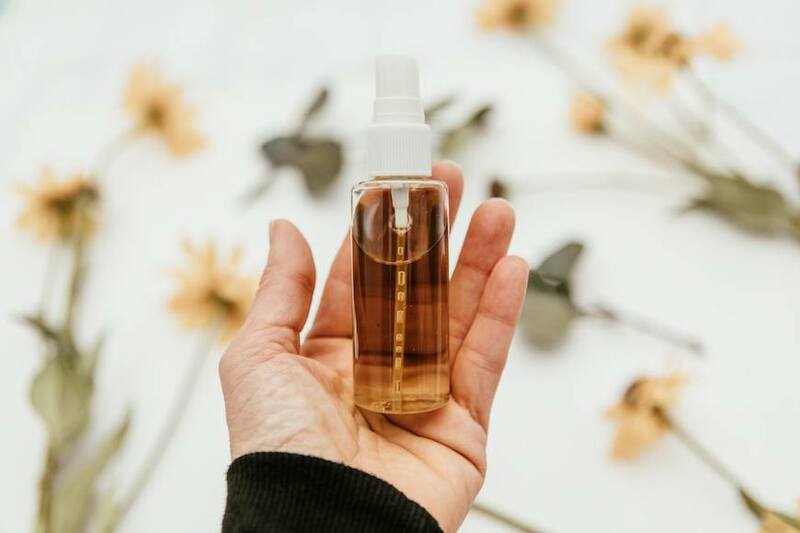 Dilute your oil: That may mean adding it to a carrier oil like almond, grapeseed, avocado, or coconut oil, and generally using two percent dilution (so, 10 drops of oil per one ounce of carrier; five drops per one ounce if you have sensitive skin), Dr. Todorov says. Talk to your doctor if you’re pregnant or breastfeeding: Generally, it’s smart to make sure there are no potential side effects of using a given oil during this time, Dr. Todorov says. Be wary of the sun when using essential oils: Citrus oils in particular, like orange, grapefruit, lemon, and bergamot, can cause burns and blisters if you apply them to your skin and then go into the sun, Dr. Todorov says. Don’t touch your eyes after handling oils: Doing so could cause irritation, Dr. Todorov says. In general, experts stress that essential oils won’t necessarily cure your inflammation—but, as Mack says, “they are merely a tool in your tool box to help and support.” And if you have any questions or concerns about using an oil for inflammation, talk to an integrative medicine specialist or an aromatherapist for guidance. Other all-star uses for essential oils? Sharpening your focus and soothing your itchy skin.